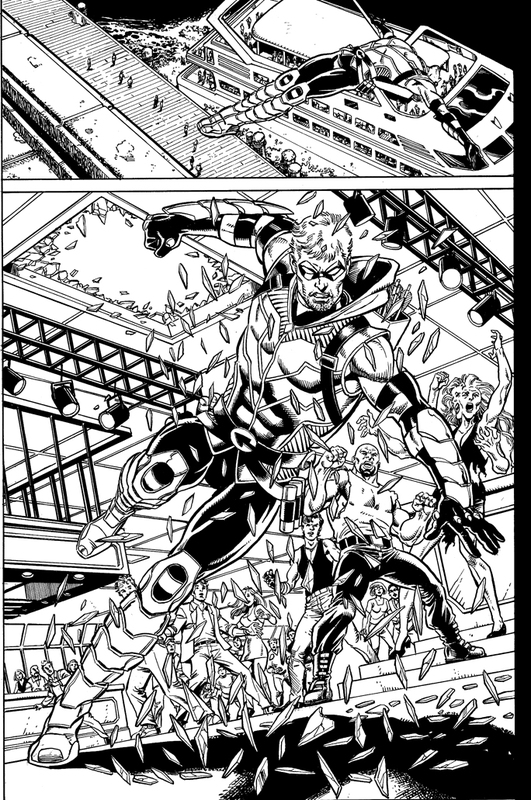 Continuing the visual countdown to the biggest move in comics since leather-jackets in the 90's, here's the redesigned Green Arrow, from all-star artistic duo; penciller Dan Jurgens and inker George Perez. How would it be to have an icon like Perez inking your work? I think I'd be more nervous submitting my stuff to him than I would the editor! Ollie has always been one of DC's underrated best, and for me Dan's art shares the same tag. Jurgens masters good comic art done great and it instantly makes this title an automatic click. Jump over to Dan Jurgens' actual website to see more of what makes him one of my top pro's behind the pen! dude i love that new Green Arrow costume! Awesome aint it Dave! It mixes Smallville and comic G.A. just nicely!